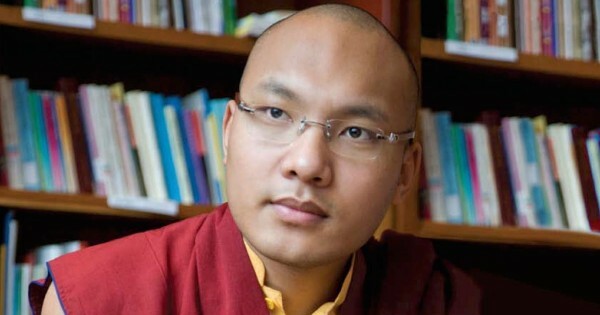 17th Karmapa Ogyen Trinley Dorje. (TibetanReview.net, May22, 2017) – In only the latest of a long series of moves to bring the 17th Karmapa Ogyen Trinley Dorje to his exile seat monastery of Rumtek, a delegation of monks from monasteries across Sikkim have met India’s Home Minister Rajnath Singh to seek an early permission for him to visit the state. The monks called on Singh on May 20 during his two-day visit to the state, reported India’s PTI news agency May 20. The report said the delegation submitted a resolution taken after a peace rally in Gangtok on May 18, urging the Government of India to grant one of the “most important demand and aspiration” of the Buddhists of Sikkim, seeking early permission for the Karmapa to visit the state. The Karmapa is the head of the Karma Kagyu order of Tibetan Buddhism. The report said the delegation was led by the Sangha MLA Sonam Kelyon Lama, the elected political representative of the monks in the state’s Legislative Assembly. The report said a central government order in 1994 imposed a ban on the entry of all the three claimants to the Karmapa seat at Rumtek monastery in East Sikkim since 1994. Ogyen Trinley Dorje is endorsed by Tibet’s exiled spiritual leader, the Dalai Lama, and obviously enjoys overwhelming support among the state’s Buddhist population. The government of Sikkim has written and passed resolutions over the years, requesting New Delhi to allow the now 31-year-old Ogyen Trinley to visit Rumtek to be enthroned there as the 17th Karmapa. Ogyen Trinley was born in Tibet, lived in Tsurphu Monastery, the traditional seat of the Karmapa’s located in the outskirts of Tibet’s capital Lhasa, and escaped to India through Nepal in Dec 1999 at the age of 14, citing lack of religious freedom. He reached Dharamshala on Jan 5, 2000 and has lived there ever since.